I'm so excited to share this beautiful wedding with you all! 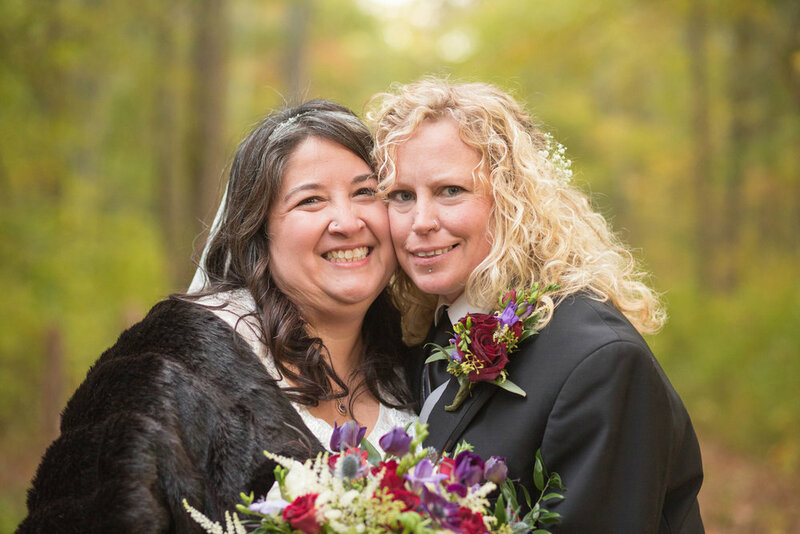 Jamie and Bonnie were married on a beautiful fall day. Fun fact: Jamie and Bonnie went to high school together. They didn't start dating until they met again at one of their high school reunions. Bonnie asked Jamie out, and the rest was history! I started my day with Jamie getting ready at her salon, the Pelo Day Spa in Easton, MA. While my second photographer, Sara, started with Bonnie. Atfer Jamie finished at the salon, we headed to her hotel for me to get some detail photos and then of her finishing getting ready. Jamie was one of the most happiest brides I've ever seen! As you'll see in the photos, she just radiated the biggest smile all day long! I loved it! The ceremony location was the Sheep Pasture in Easton, MA. I've taken many family photos here, but it was my first wedding and I adored it! Such a great spot for this intimate wedding. Jamie and Bonnie's ceremony decor was AMAZING! There is a lot of DIY rustic decor that I just adored. Jamie spent the months up to her wedding creating origami cranes, it's a Japanese tradition teaching the bride patience and signifying a long, harmonious marriage. You'll see them throughout their decor! 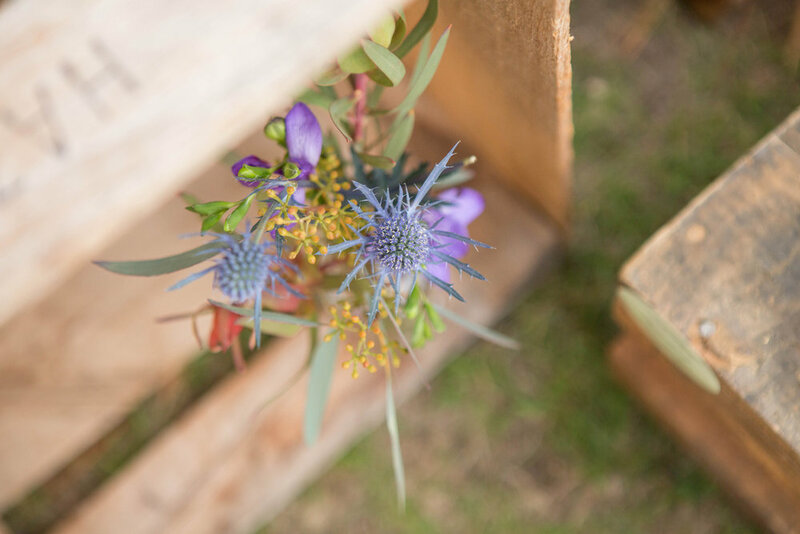 The ceremony aisle is adorned with shutter doors, wooden crates and lots of flowers. The aisles have pumpkins with lace bows, and their guests threw leaves at the end of the ceremony to top the fall theme off. We lucked out with some pretty foliage for a beautiful backdrop to their formals. Directly after the ceremony, Jamie and Bonnie had their first dance. This was different, but I thought it was beyond perfect! Afterwards, a lovely dinner reception was held at Stone Forge Publick Tavern in Raynham, MA. Overall, this wedding is hands down one of my favorites to date. There's something about intimate weddings that I just love. The feelings of love and happiness exuded throughout the day, from everyone who attended. I hope you enjoy some of these favorites of mine!